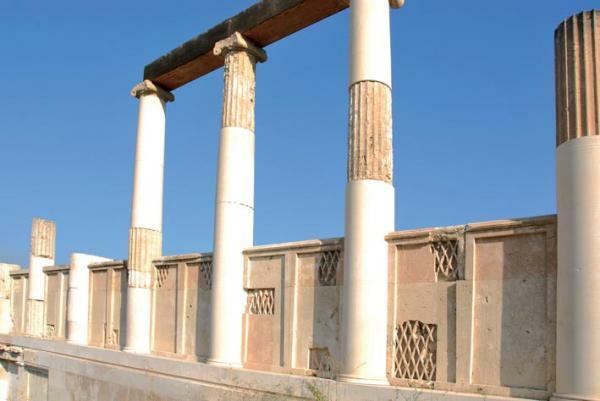 The Temple of Asklepios: The temple in the plain is the largest and most widely known one. Ancient medicine was born there and was practiced at first in a religious way to evolve gradually into a true healing method. There were about 200 Asklepieia in the ancient world, founded, as tradition has it, by the god of Epidaurus. Today’s entrance to the archaeological site is situated on the southwest of the temple, while the ancient entrance was located on the north. 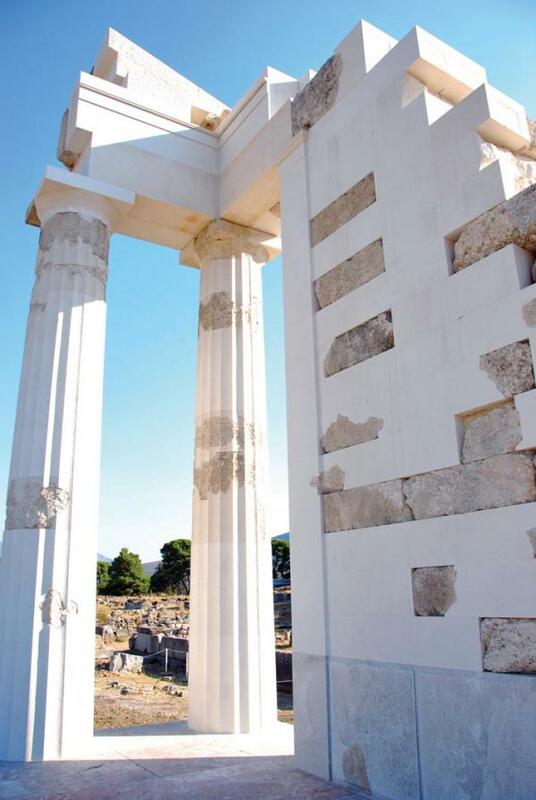 A visitor of that time would enter the place from the monumental Propylaia; he would walk along the Sacred Way (Iera Odos) and leaving behind him various secondary edifices and numerous votive offerings, he would reach the centre of the sanctuary. The sanctuary comprised not only the Temple of Asklepios, but also the Dome (Tholos, a circular building with subterranean corridors, indication of the earthly home of Asklepios), and the Abaton gallery (or Enkoimeterion, where patients lay down to sleep, so the god could heal them in their sleep). Other important edifices in the Sanctuary are the Stadium, the Hestiatoreion (a banquet hall, where ritual dinners would take place), the baths’ edifice, the Katagogeion (a guest house) and, of course, the big theatre on the south of the temple. During the 2nd century AD, the temple went through an extended reconstruction process, while in the 4th century AD worship and other religious activities were confined to the main area. The Basilica of Saint John to the northeast is one of the largest and oldest Christian churches in Greece.